Manchester United manager Ole Gunnar Solskjaer gives his thoughts on Tuesday's match against PSG at Old Trafford. 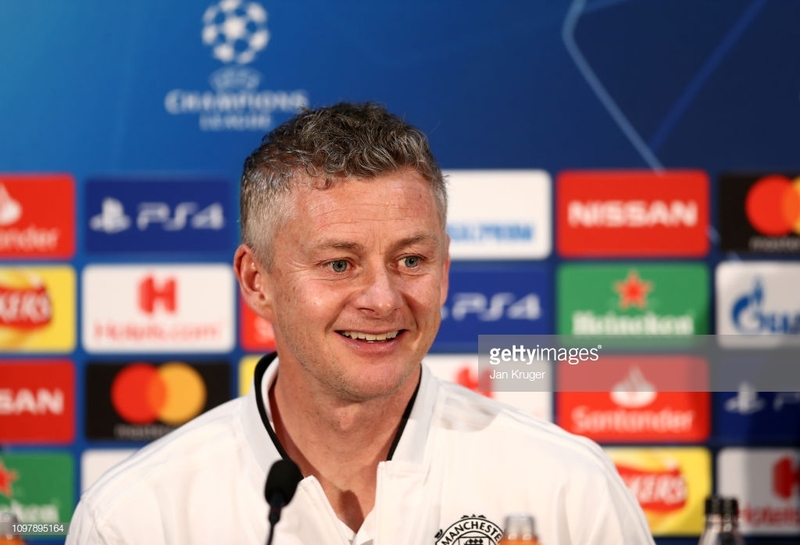 Manchester United boss Ole Gunnar Solskjaer is full of confidence ahead of sides UEFA Champions League last 16 clash against European giants Paris Saint-Germain on Tuesday. Despite winning 10 out of his first 11 games in charge, the Old Trafford legend admits there is still a long way to go. “When we go into games confident as we are, we are looking forward but we can’t look too far ahead,” said Solskjaer. “We have to look to PSG and make sure we go through this one and then take the next challenge as it comes. The French giants are without Uruguay striker Edinson Cavani and Brazilian superstar Neymar. With the Red Devils' impressive run of form, the former United striker believes that they couldn’t be going into the game at a better time. "We have given ourselves the best possible opportunity, with the way we have gone into this game. We are confident, we have found out what kind of team we have. We are looking like a team, we are agreeing on how we should approach games. Solskjaer guided United to a 3-0 victory over Fulham at the weekend, but confesses that Champions League nights are the most special of them all with a trip down memory lane. “I look back to one of the last few exciting knockout games when we lost to Real Madrid when Nani was sent off,” he told the press. “Of course we had Bayern Munich a few years ago as well, so we're looking forward to this. “It is both the supporters and the players who have been looking forward to some of these nights, because they are so special." "My last one was when we beat Roma 7-1 [April 2007]. I came on, a typical Old Trafford night. "We lost the first leg 2-1 away from home and the manager [Sir Alex Ferguson] was so happy. He said we will win at home, he was so confident in our abilities.